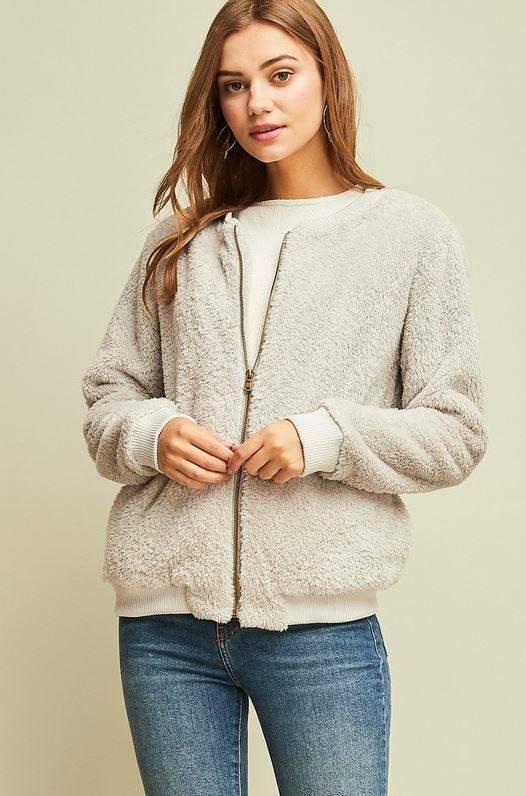 We have a feeling you'll be wearing this bomber nearly every day this season! 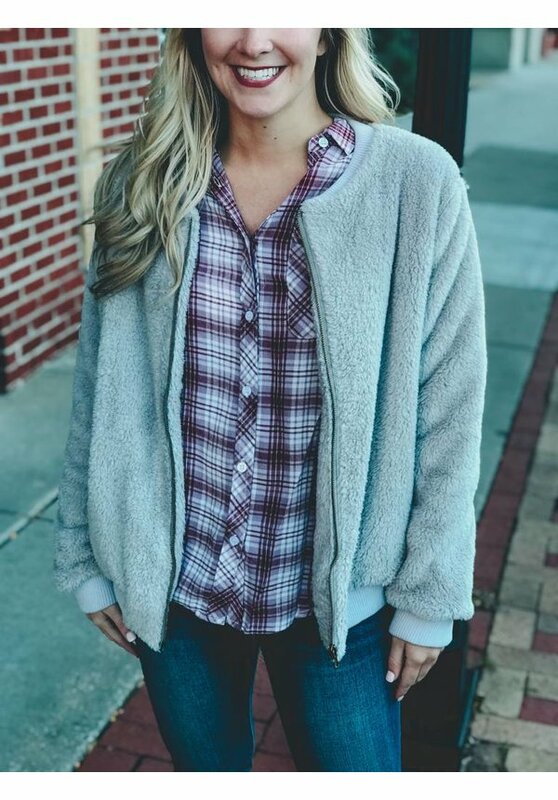 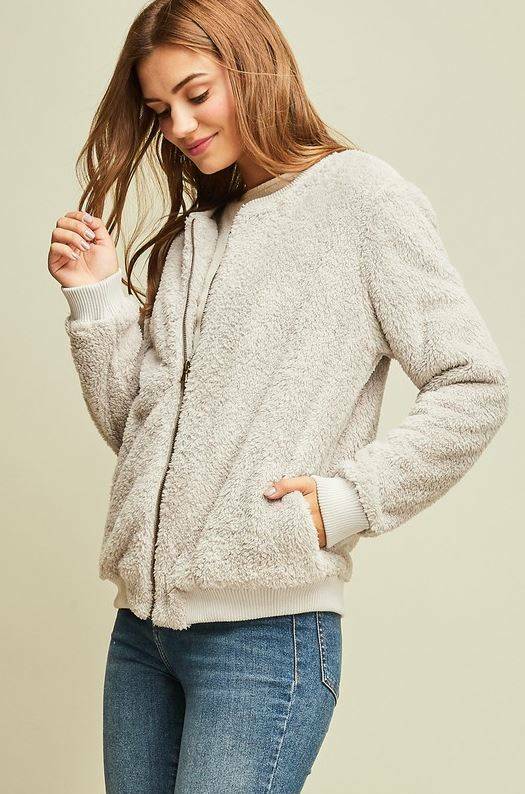 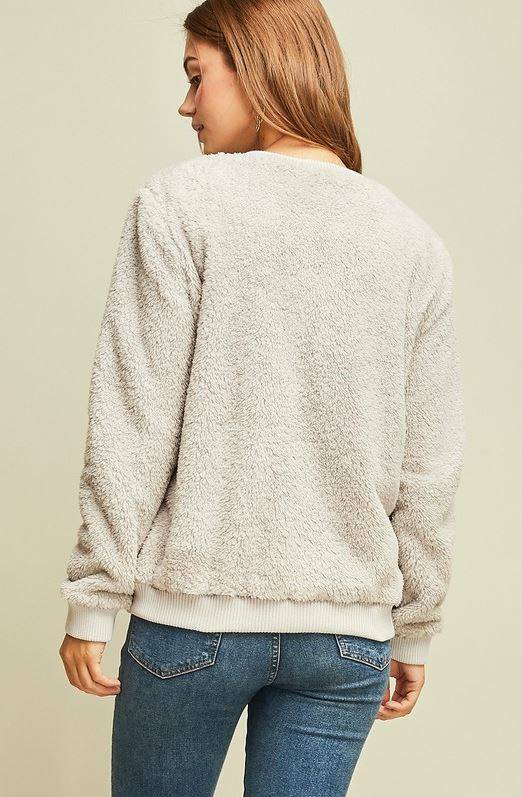 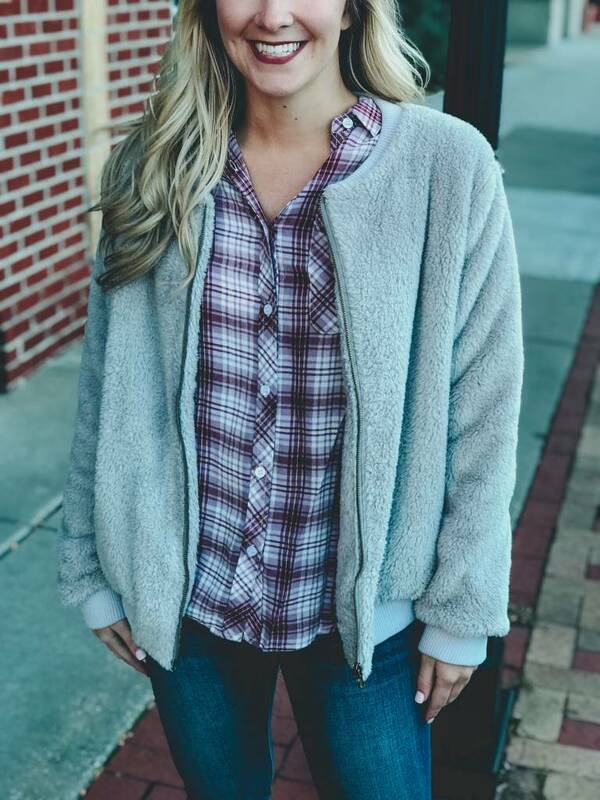 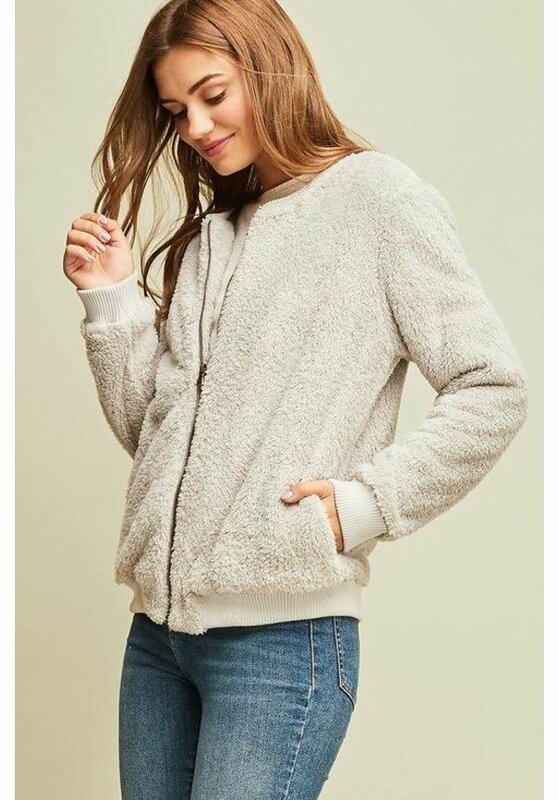 With a cozy faux fur exterior and faux fur lined sleeves you will stay warm and cozy all Fall and Winter long. Wear it over anything and everything! 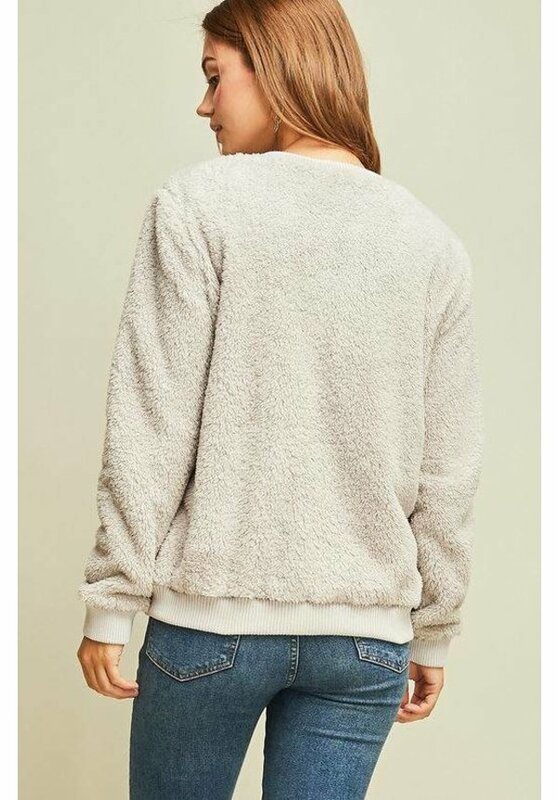 Make a choice: "Color: Grey","Size: S" "Color: Grey","Size: M" "Color: Grey","Size: L"